You may have heard of Simon Sinek. He's known for the philosophy of "Start With Why" to determine your reason for being. Why needs to be at the center of everything you do. Once you've determined your Why, you can move on to How and What. No surprise, your Why powers your inbound marketing strategy. During his presentation, Sinek focused on Why Leaders Eat Last, describing how the chemicals your body produces can help you not only manage in difficult times, but also build inbound trust and cooperation. Challenge: How To Sustain Business Focus in an Always-On Environment? A challenge for many businesses - particularly small and medium businesses - is how to perform consistently over time without losing momentum or focus while navigating an increasingly complex and noisy marketplace. In many ways, the pace and complexity make us respond with an always-on, fight-or-flight attitude which - although effective for short bursts - becomes almost impossible to sustain over long periods of time. Not to mention that it saps creativity, affects focus and inhibits relaxation. How then to respond so you can consistently engage in the relationship building that leads to longterm success? Not to mention all of the inbound marketing activities critical to demonstrating your organization's knowledge and passion (e.g., publishing remarkable blog content regularly and consistently; developing relevant educational offers; etc.). Trust Your Body's Chemicals to Build Inbound Trust and Cooperation! The solution, according to Sinek, is to manage your organization during difficult times just as individuals do - by making the most of the chemicals your brain produces in reaction to specific behaviors. EDSO explains how ordinary people seemed to become extraordinary in response to specific environments and in support of social living (think collaborating with those we trust to keep danger at bay in a harsh world). As Sinek pointed out, the modern world is no different than pre-historic times given the uncertainty, ongoing change and constant competition we face. If a business can create the right working environment, it, too, can nurture extraordinary, trustworthy and cooperative people. Success requires a trusted posse to collaborate with. Successful Businesses Have Leaders Who Facilitate Inbound Trust and Cooperation. Leadership sets the conditions that can make trust and cooperation thrive. Trust and cooperation are feelings which result from the environment we are in. Safe environments are ones where leadership isn't feared, where no one feels the need to send out CYA memos or maintain extensive hero files. Endorphins mask physical pain. It makes the human animal endure. You can get it through exercise and laughter. Can you encourage laughter and physical activity in your organization, and especially when you have long projects underway? Your brain releases dopamine when you accomplish something - for example, when you cross an item off a list or if you win a game; you get hits of it when you eat. It really helps to stay fixed on a goal, and not to waiver. You need to set goals for system to work; that's why you need to write them down. Vision is something you can see. Paint a picture of what future looks like; it can’t be abstract. This makes us achievement machines as long as we know we are making progress; need flag indicators as goal markers. The problem – dopamine can be highly addictive. Think nicotine, gambling, alcohol, cell phone. They waste resources, ruin relationships, and can be dangerous. There are bad working cultures where people get addicted to performance just for performance and will stop at nothing to get what they need to get. You won't find trust in those environments. Can you build goals into your processes? Many apps do to help you track progress for games, investments, physical activity and to monitor foods eaten. Make sure, though, that you don't create the wrong kind of performance-driven organization. The next 2 make us balance the selfish chemicals above. Serotonin is that feeling of pride and status when you get public recognition and feel your value among the tribe goes up. That's why big events like Commencement are important for recognizing accomplishments. It's closely tied to self-confidence and attempts to reinforce relationships between child/parent, where one sacrifices and the other receives a benefit. Serotonin is powerful for getting us to work harder and make change happen. It's also the leadership chemical. We want to be around people who look out for us, who go first and make us proud. We are hierarchical animals and willingly defer to alphas as long as the alphas take care of us and protect us from danger. Problems arise when leaders don’t understand their responsibility. Great leaders don’t sacrifice people for numbers (e.g., bankers 2008). In the Marine Corps, officers eat last; the most junior eats first. Leaders have responsibility for people in their charge. Officers never go hungry because the people they sacrifice for will always take care of them. How do you generate pride of accomplishment in your organization? Do you review results and celebrate successes? 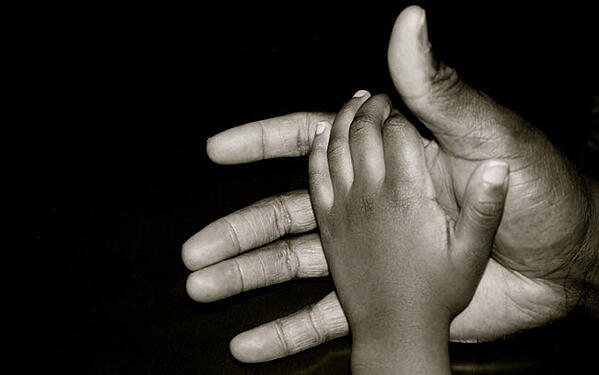 Oxytocin – Feeling of love, friendship, trust, relationship; it also comes from physical contact (which reinforces trust; that's why the hand is such a magical thing in business). Try holding a hug for six seconds longer and watch what happens. Oxytocin also gets released after acts of kindness or generosity especially for spending time/energy which can't be replaced. Money doesn’t count. Email doesn’t work; it's too easy. 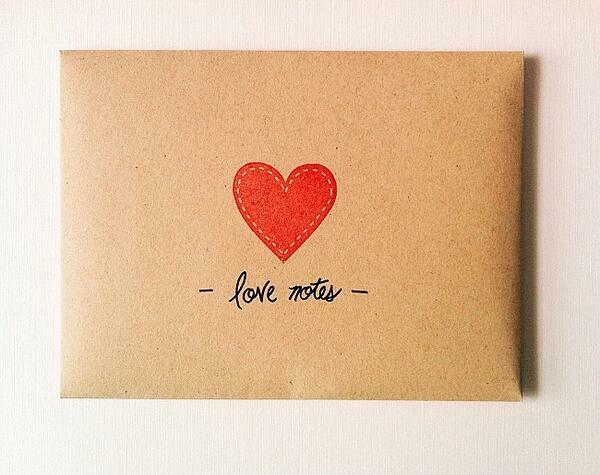 Don't underestimate the value of a handwritten note vs. an email. Witnessing generous acts releases it, too. The more oxytocin released, the more you want to do acts of kindness. Leaders set the tone. If they are willing to be generous, the rest of the organization will be more generous, too. People live longer with more oxytocin; it makes us smarter and better problem solvers who enjoy life. How do you encourage trust, love and relationship in your business? Do you hold regular in-person get-togethers? Do you encourage social collaboration? What kinds of random acts of kindness do you perform? Don't Forget Cortisol, the Early-Warning System! In addition to EDSO, there’s Cortisol – that feeling of stress and anxiety. Cortisol is an early warning alarm system designed to keep us alive when danger lurks. It's the first element of flight/fight. It gets your heart racing, injects glucose into your muscles, heightens all senses and makes us paranoid. We aren't supposed to have it in our systems all the time. It's really bad if you work in an environment where this exists all the time. Cortisol makes us selfish; it inhibits the release of oxytocin, making trust and cooperation impossible. Furthermore, the body turns off non-essential systems, including fingernail growth, immune systems, etc. How do you manage pressure in your organization? Is it all about constant sprints where no one ever gets into a groove for long term projects and relationships? 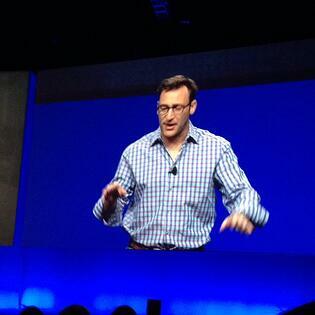 Sinek emphasizes that EDSO is a great system for managing in difficult times. You practice leadership all the time; it affects your willingness to sacrifice for someone else which, in turn, generates trust and cooperation. He cautions how easy it is to destroy relationships. He considers the cellphone to be unbelievably destructive to relationships. It signals that the person you are with is not the most important person. Put it away, focus on the moment and the person you are with. Want to Apply This to Inbound Marketing and Business? 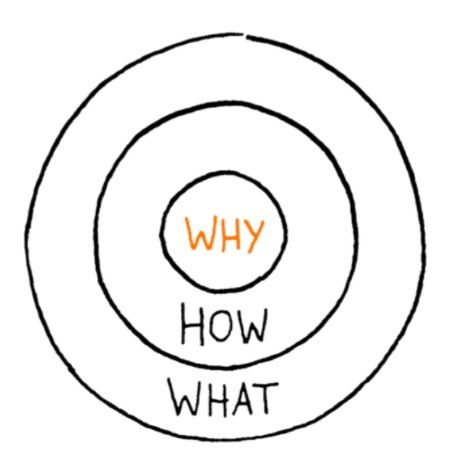 Start with Why. Know your purpose. Know how to effectively deliver that purpose in way that can be replicated over time. Include customers in your purpose. Don't forget your internal customers who are often your most effective purpose amplifiers. Think how to deliver what matters to your customers consistently, enthusiastically and genuinely. If you know your why, it's a lot easier to navigate smoothly through any kind of times that are ahead. Rather than go from crisis to crisis, yu stay on track because of your own inner shared customer-focused compass. You use the tools necessary to achieve your goals while never forgetting that your people matter. Thoughts, comments, reactions? I'd love to hear your take on how to build inbound trust and cooperation and the ideas that Simon Sinek shared during INBOUND 14. Note: The article was originally published on October 7, 2014 and has been updated.